J.W. 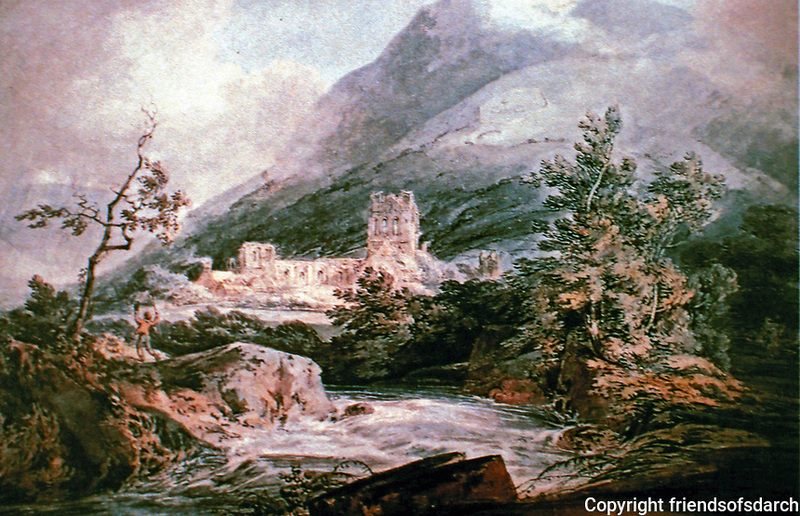 M. Turner watercolor, 1792. Llanthony Abbey, Monmouthshire, Wales. English Romanticist.